Whether you’re a hosting company, a service provider or a cable operator, our extensive selection of used routers, switches, gateways, cables and optics from the world’s largest manufacturers, including Cisco, Juniper and Arista, are sure to meet your networking needs. And as a comprehensive networking vendor, we also buy pre-owned networking hardware. So whether you’re looking to replace or upgrade existing equipment, we’ll take them off your hands, and you can put that money toward your new gear. We separate ourselves from other networking vendors in several ways. For one, we buy high-performing used routers and switches in bulk from all over the world, which guarantees you receive the best prices on every piece of pre-owned equipment you buy. And, the fact we purchase used hardware means we’re able to supply refurbished legacy products that are no longer available through manufacturers. So if you need to replace some of your used legacy equipment or need specific parts for it, we can supply it for you. 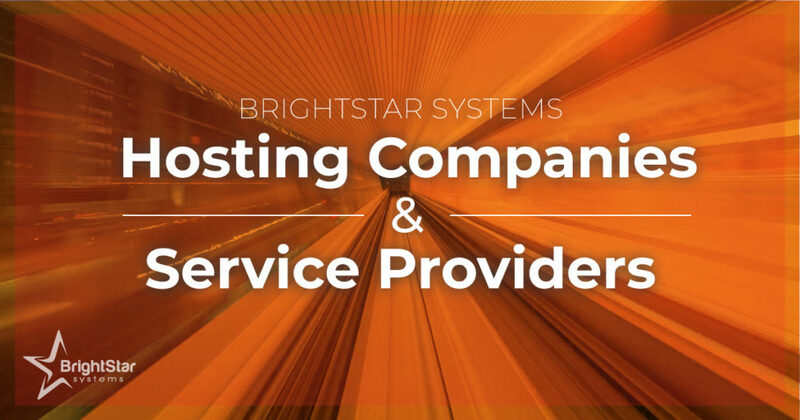 In addition, all our routers and switches, as well as our optics and cables, come with BrightStar Systems’ 1-year, In-house Warranty. That means you don’t have to worry about forking out money for equipment repairs or replacement costs for at least a year. When we buy pre-owned equipment, we absorb the shipping cost ourselves. Not only that, but we’ll even schedule freight pickup for bulk orders at no additional cost. Add to those benefits a knowledgeable and experienced support team, and you have plenty of reasons to work with us versus other networking vendors. We understand the needs of hosting companies. First and foremost, their responsibility is to make sure anyone can access their customers’ websites anyplace, anytime. Even a few minutes of downtime could result in a huge loss of leads or sales. That’s why it’s so important your customers’ websites load fast and that their sites maintain the highest level of availability. But, in order to be confident in the service you’re offering, you need to be confident in your networking equipment. That’s where we come in. Every piece of used networking equipment we purchase must pass a rigorous 9-Point Quality Control and Testing Process. During this process, we inspect devices for physical damage and we test every port to make sure each one is functioning properly. Whether you specialize in shared, VPS, dedicated or cloud hosting plans, the wide variety of pre-owned networking hardware we stock makes it easy to find the equipment you need to supply your customers with the highest quality hosting services. In addition to providing customers a near 100 percent uptime, hosting companies must make sure their customers’ data is secure. BrightStar Systems has that covered as well. Our wide range of gateway and firewall devices are the perfect data protection solution. As a global supplier of some of the best used service provider networking solutions in the industry, it’s not only important that our hardware is reliable; it’s important that it performs well. This is especially true for service providers and cable operators because they require the highest performing networking equipment in order to deliver massive amounts of data at top-notch speeds on a large scale. In order to supply equipment capable of meeting those needs, we stock used service provider routers and switches ranging from small, 1G Ethernet devices to high-performing flexible chassis that offer up to 100G Ethernet. We also supply specific parts for routers and switches. In addition, our high-end service provider networking solutions offer scalability, ensuring you’re able to expand your services as you grow and continue supplying the fastest available speeds. The wide range of ports supported on our service provider routers and switches provide an extremely high level of flexibility as well. Across our used Juniper, Cisco and Arista devices, you’ll be able to configure ports for SFP, QSFP, QSFP28, CFP and CPAK optical transceivers. So regardless of which manufacturer your network is built on, you’ll easily be able to buy used devices that are compatible with your existing hardware. You can learn more about all the specific product series we stock on our individual manufacturer pages, which include specifications and part numbers for Juniper, Arista and Cisco devices. And if you are interested in selling or buying pre-owned networking hardware, please contact us today and we’ll connect you with one of our sales representatives.